This quartet of college-aged guys from California play nicely tinged Southern-style rock and have already made their television debut and played the First Ave mainroom on the strength of just one album. They're obviously doing something right, and their hearts are 100% in the sound they create. The name 'Dawes' is dedicated to their country music-loving grandfather, lending a sense of nostalgia to the mix. 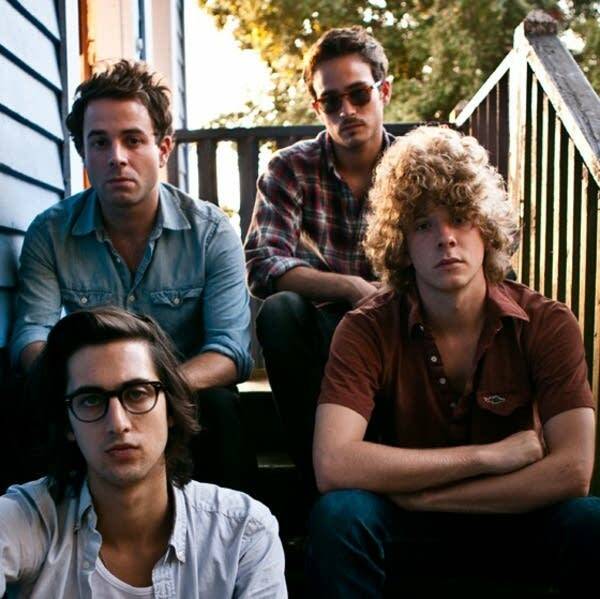 Dawes have just finished their second album, which will be released in May 2011. Songs performed: "That Western Skyline," "When My Time Comes" and a new song, "A Little Bit of Everything." Dawes perform live in The Current studio Fresh off the success of their debut record, "North Hills," Los Angeles natives Dawes have gotten the chance to expand their Laurel Canyon sound on a national tour.